Clerestory window prices will vary considerably, but they are certainly at the very top of the replacement windows cost spectrum. This is because clerestory windows are almost always custom made and will typically involve some level of demo, carpentry and finish work from an experienced contractor. Economy clerestory windows will have 3 or 4 narrow windows that utilize standard window glass. 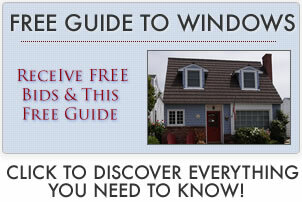 They will usually be smaller windows that are fixed and do not allow for ventilation. Standard clerestory windows will have 3, 4, 5 or 6 windows that may use wood frames, but may also use vinyl or fiberglass frames. They will often be medium sized and have double paned windows that may or may not have insulation and some form of gas fills. A mid grade option may or may not have adjustable windows on the edge windows. Expect to pay $800 to $2500 for clerestory window installation. This is a good sized project that can be tricky due to the location of the windows and the skill needed to implement it correctly. The biggest project cost will involve opening or reducing down the “hole” for the framing and windows to be installed into.